BRIDGEWATER, N.J., June 8 /PRNewswire/ — Nautilus Neurosciences, Inc., a neurology-focused specialty pharmaceutical company headquartered in New Jersey, announced today that CAMBIA(TM) (diclofenac potassium for oral solution) is now available in the United States for the acute treatment of migraine with or without aura. CAMBIA was approved by the U.S. Food and Drug Administration in June 2009. 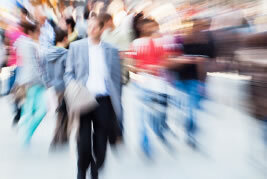 Migraine affects more than 36 million people in the United States, 75 percent of them women. According to a survey published in the Journal of the American Board of Family Medicine, many migraineurs still hope to find a better treatment for their migraines, with more than a quarter dissatisfied with their treatment and fewer than a fifth of migraineurs describing themselves as “very satisfied” with their treatment. A novel, water-soluble, buffered diclofenac potassium powder, CAMBIA is the only prescription non-steroidal anti-inflammatory drug (NSAID) available for the acute treatment of migraine. Engineered using Dynamic Buffering Technology(TM) (DBT), a patented absorption-enhancing technology developed by APR Applied Pharma Research S.A., CAMBIA is specifically designed for fast, effective relief from the symptoms of migraine. 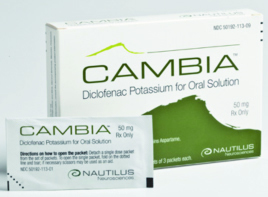 CAMBIA enters the bloodstream quickly and readily achieves peak plasma concentrations, providing rapid onset of pain relief via oral therapy without increasing the patient’s total exposure to diclofenac. The FDA approval of CAMBIA was based on two Phase 3 placebo-controlled trials showing that CAMBIA was superior to placebo in all four FDA-mandated co-primary end points for migraine — pain, nausea, photophobia and phonophobia. Both studies also showed that reduction in pain intensity was significantly greater in the CAMBIA group than in the placebo group as early as 15 minutes following treatment, and headache response rates were superior to placebo for up to 24 hours. With the combined results of the two clinical trials, the safety of a single dose of CAMBIA was evaluated in a total of 634 migraineurs treated with CAMBIA for a single migraine attack. No subjects withdrew due to adverse events, and the overall incidence of adverse events was comparable to placebo. There were no serious adverse events or deaths. The most common adverse events reported following treatment with CAMBIA (>1 percent incidence) were gastrointestinal disorders (12 percent), general disorders and administration site conditions (1.5 percent), nervous system disorders (4.1 percent) and psychiatric disorders (2.6 percent). Migraine is a common headache disorder characterized by severe pain, nausea, sensory activity and disability. Migraines affect more than 36 million people in the United States, 75 percent of them women. According to a survey, many migraineurs still hope to find a better treatment for their migraines, with more than a quarter dissatisfied with their treatment. In that same study, less than a fifth of migraineurs described themselves as “very satisfied” with their treatment. While alternative delivery mechanisms, including injectables and nasal sprays, have been developed in an effort to speed pain relief, their use in migraine has been limited due at least in part to patient objections and a preference for oral therapy. Nautilus Neurosciences is a neurology-focused specialty pharmaceutical company committed to providing the health care community with medically relevant products and services that directly benefit those affected by neurologic disorders. Nautilus is backed by Tailwind Capital and Galen Partners. For more information, visit www.nautilusneurosciences.com. Galen Partners is a leading health care private equity investment firm based in Stamford, Connecticut. The firm focuses on growth equity investments in health care technology-enabled services, medical devices and specialty pharmaceutical companies. With nearly $1 billion under management raised through five funds, Galen has invested in more than 70 companies since 1990. Galen’s specialty pharmaceutical investments include Acura Pharmaceuticals, Dow Pharmaceutical Sciences (acquired by Valeant Pharmaceuticals in 2008), JDS Pharmaceuticals (acquired by Noven Pharmaceuticals in 2007) and Taro Pharmaceuticals. The firm continues a tradition of strategic collaboration and partnership with its portfolio company management teams to build health care market leaders. For more information, visit www.galen.com. Tailwind Capital is a leading private equity firm investing in growth-oriented middle-market companies in the health care, business services and media/communications sectors. Tailwind partners with management teams to build businesses through organic growth, strategic acquisition and operational improvement. The firm currently has more than $1 billion under management. Representative Tailwind investments include VersaPharm (generic pharmaceuticals), Aircast (orthopedic devices), Freedom Innovations (prosthetic devices), SDI Health (health care analytics), TowerCo (wireless infrastructure), Archway (marketing logistics) and Trover Solutions (insurance services). For more information, visit www.tailwind.com. 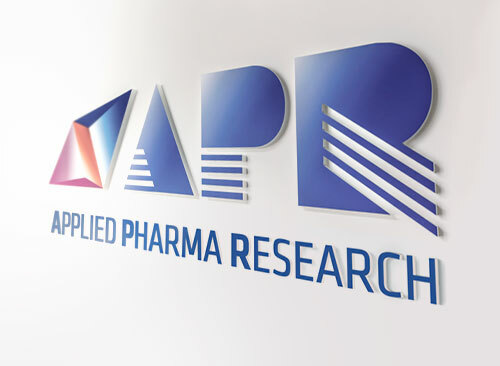 APR Applied Pharma Research S.A. is an independent, international, vertically integrated drug delivery and drug development company in healthcare with registered offices in Switzerland and the U.S. It is focused in the R&D of innovative and patented drug delivery systems as well as innovative pharmaceutical products primarily for oral and topical administration. The APR products and technologies are licensed to third parties for distribution and marketing activities. 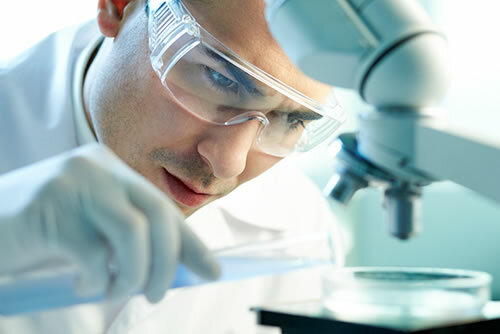 R&D activities are carried out directly or under contract. 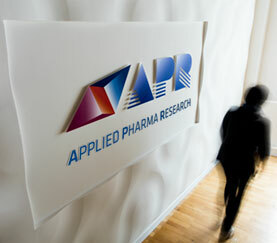 APR has signed licensing agreements with pharmaceutical companies in 117 countries worldwide and its sales are almost totally achieved abroad. For more information, visit www.apr.ch. CAMBIA is a non-steroidal anti-inflammatory drug (NSAID) indicated for the acute treatment of migraine attacks with or without aura in adults 18 years of age or older. CAMBIA is not indicated for prophylactic therapy or for cluster headache. WARNING: RISK OF SERIOUS CARDIOVASCULAR AND GASTROINTESTINAL EVENTS NSAIDs, including CAMBIA, may increase the risk of serious cardiovascular (CV) thrombotic events, myocardial infarction, and stroke, which can be fatal. Risk may increase with duration of use or in patients with CV disease or risk factors for CV disease. CAMBIA is contraindicated for perioperative pain in coronary artery bypass graft surgery. NSAIDs increase the risk of gastrointestinal (GI) adverse events, including bleeding, ulceration, and perforation of the stomach or intestines, which can be fatal. These events can occur at any time during use and without warning symptoms. Elderly patients are at greater risk. Use the lowest effective dose for the shortest possible duration. Long-term administration of NSAIDs can result in serious and potentially fatal events, including CV thrombotic events or GI reactions. CAMBIA is contraindicated in patients with hypersensitivity to diclofenac or other NSAIDs, and in patients with preexisting asthma, urticaria, or allergic-type reactions after taking aspirin or other NSAIDs. Severe, sometimes fatal, anaphylactic-like reactions have been reported in such patients. Anaphylactic reactions may also occur in patients with the aspirin triad or in patients without prior exposure to CAMBIA. CAMBIA is contraindicated in patients with the aspirin triad. Discontinue immediately if an anaphylactic reaction occurs. Use caution when prescribing CAMBIA with drugs known to be hepatotoxic (e.g., acetaminophen, certain antibiotics, antiepileptics). Warn patients to avoid acetaminophencontaining products while taking CAMBIA. The liver metabolizes almost 100% of diclofenac, and there is insufficient information to support dosing recommendations in patients with hepatic insufficiency. Hepatic effects range from transaminase elevations to liver failure. Discontinue CAMBIA immediately if abnormal liver tests persist or worsen. Using CAMBIA with other NSAIDs (e.g., aspirin) or with anticoagulants (e.g., warfarin) is not advised due to increased risk of serious adverse events, such as GI bleeding. Use with caution in patients with a history of ulcers or GI bleeding. Anemia may occur in patients on NSAIDs. In patients on long-term therapy, check hemoglobin or hematocrit upon any sign or symptom of anemia or blood loss. CAMBIA can harm fetuses. Starting at 30 weeks’ gestation, pregnant women should avoid CAMBIA and other NSAIDs as premature closure of the ductus arteriosus in the fetus may occur. Use with caution in nursing mothers as it is not known if diclofenac is excreted in human milk. The most common adverse events in clinical trials with CAMBIA were nausea and dizziness. SOURCE Nautilus Neurosciences, Inc.